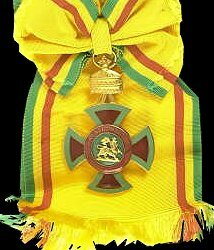 Ribbon: Yellow with narrow green, yellow and red edges. 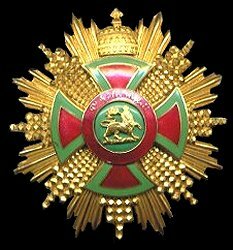 Awarded: To senior military and court officials. Grades: 5 (Knight Grand Cross, Knight Commander, Commander, Officer and Member). Post-nominal letters: GCEM (Grand Cross), GOEM (Knight Commander), CEM (Commander), OEM (Officer), and MEM (Member).